Attic stock is a commercial term describing extra flooring which is stored after an installation. 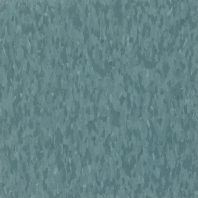 Building supervisors, chief engineers, and general managers commonly request flooring attic stock. In contrast, average residential homeowners request attic stock materials less frequently. Why is attic stock needful? There are three reasons why consumers may want attic stock. First, attic stock functions as insurance against future mishaps and contingent events: cracked stone or porcelain tiles due to a slab crack; deep scratches in hardwood; burns or tears in carpet; swollen laminate due to small flood; etc. The unthinkable can happen. Attic stock prepares you for eventualities. Second, a prudent purchaser knows that flooring in some areas will fail or wear prematurely in comparison to other areas with less traffic. That is, flooring is destructible and some areas are predictably vulnerable to excessive use and abuse: stairs, entries, primary walkways, elevators, waiting rooms, the front desk, etc. Third, the client may purchase attic stock to replace an additional area which cannot (for logistical or budgetary reasons) be installed at the time of the main installation. By contrast, those who are selling their building or home may not want any extra money invested in excess materials. For example, one of our clients has medical facilities for women throughout Hillsborough County and Polk County. The owners attempt to maintain a color theme for all of their buildings. As a result, the owners can purchase attic stock of the same vinyl composition tile and vinyl wall base and use that attic stock interchangeably in all of their locations for any reason and without delay. How much attic stock is recommended? Five percent of the total square feet installed is a reasonable attic stock if preparing for minor accidents. 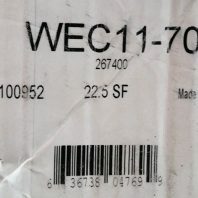 Those customers who purchase attic stock for specific, anticipated replacements or expansions should purchase a quantity specific to the target areas. Some of our client's who have extra cash will, from time to time, purchase additional carpet to replace their staircase knowing that, more than any other place in a house, the carpet on the stairs will compromise overall appearances. Six years afterward, fresh carpet on the stairs will be striking! (This is the advice that we follow internally.) Recently, a condominium requested 20 percent attic stock of carpet tile in their determination to avoid a full replacement in ten years in favor of selective replacements. Where should attic stock be stored? Some commercial properties have a climate-controlled warehouse for storage. We manage the attic stock for multiple five-star hotels without climate control. Residential flooring usually requires a little more creativity due to limited space. Homeowners might consider space under a bed, in an extra closet, or in the garage. Moisture, heat, and insects are among the greatest risk factors against attic stock flooring supplies. Flooring manufacturers usually publish a maximum and minimum storage temperature. Extremely high temperatures may damage colors or dry out material. Flat surfaces are important, especially for hardwood and vinyl flooring. 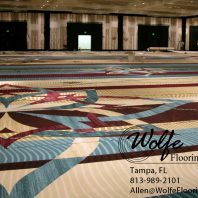 Over time carpet can develop pile crush or develop backing damage if the carpet is weighted down, bent, or twisted excessively. Ideally, it is best not to store flooring directly on a concrete slab due to potential moisture emissions from the concrete or a flood. When possible, we prefer to store on shelving systems or on flat-surface pallets which gives a little extra protection. How ought surplus supplies be packaged? Keep all flooring attic stock in original wrappers or cartons if possible. The original packaging commonly gives very helpful information and can, in some instances, protect the flooring from moisture, insects, and pests. Wool must be protected from moths. Flooring which is manufactured in a roll format should be stored on an original core. If storing boxes or rolls, remember that you can stack only so high before the accumulated weight will damage the lower product. When should one make attic stock decisions? The smartest moment to make your decision for attic stock is at the time of the original purchase. Some make the mistake of requesting a purchase of supplemental material after their new flooring is installed. This means that the client may receive new materials from a different dye lot. Furthermore, the freight cost usually increases for a smaller, separate order. Additionally, flooring products are routinely discontinued. Today's hottest products may not be available in six months because they are replaced by newer and hotter products. Finally, for those who have custom-made carpet and other custom flooring, mills typically require minimum production quantities (subject to overruns) and the dye lot may not match.